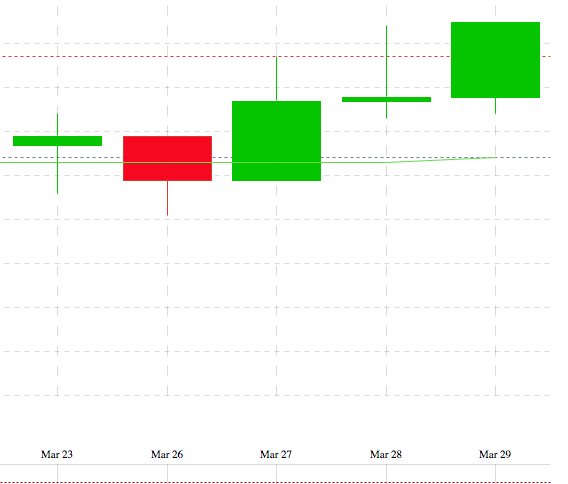 The markets will close ahead of the long weekend at 2 pm EST on March 29th, and traders began ‘parking” money in the bond market late Wednesday, the 28th. That means the market will react to the economic data released this week until Monday, April 2nd. We’ll see traders moving money out of bonds and putting it to work, based on the data showing inflation increasing slightly. Top of the economic indicators released this week was the Feds key measure of inflation – Personal Consumption Expenditures (PCE) with a year-over-year (YOY) reading of 1.8%, and the more stable Core PCE (minus food and energy) with a YOY reading of 1.6%. PCE is goods and services targeted and consumed by individuals. Add into the overall inflation picture: Personal income, up 0.4%, Personal Spending, up 0.2%, and weekly jobless claims at a low of 215,000. The weekly jobless claim number is the lowest level since 1973. Finally, it’s not surprising that the University of Michigan’s Consumer Sentiment survey came in at 101.4 – the best reading since 2004. This week’s candlestick chart, below, shows a slight improvement in Mortgage Backed Securities (MBS) over the short week, however that translated to little actual movement in rates. MBS directly impact mortgage rates, and the days with red indicate higher and green lower rates. 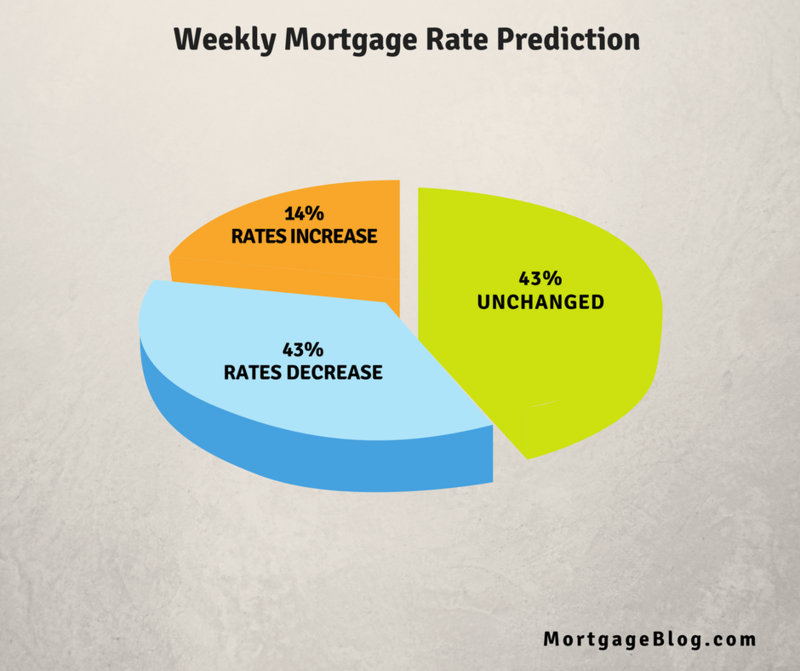 Weekly mortgage rates and trends from Bankrate, a compilation of mortgage and economic experts across the country, shows 43% predict that rates will remain relatively unchanged this coming week; 43% predict rates will fall, and 14% predict an increase (plus or minus two basis points). With the market closing early on Thursday, March 29th, take advantage of locking a rate early Monday, April 2nd, if you’re closing in 10-15 days. Float cautiously if you’re closing in 30-45 days, watching for any action around trade wars which could produce a volatile market and rising interest rates.